WFI manufactures a complete line of personal equipment storage racks. Our Flight line equipment Storage Racks, known as, Collapsible Equipment Racks (CER). 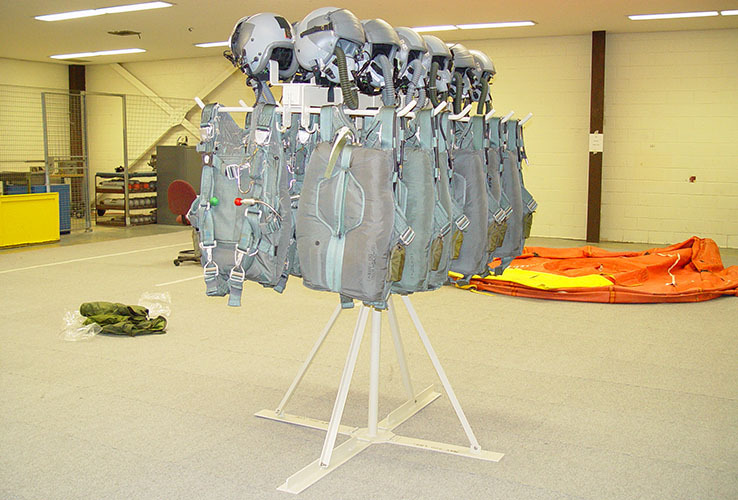 The racks are designed to hold helmets, G-suits, survival vests, body armor, parachutes and other personal equipment. They are designed for use at bare base use, at forward operating locations, and permanent home station use. The letter T/B at the end of the part number denotes the container color requested.